Speedwell Works @ Alsop Fields is a stunning NEW development in the Heart of Sheffield’s Cultural Industries Quarter. 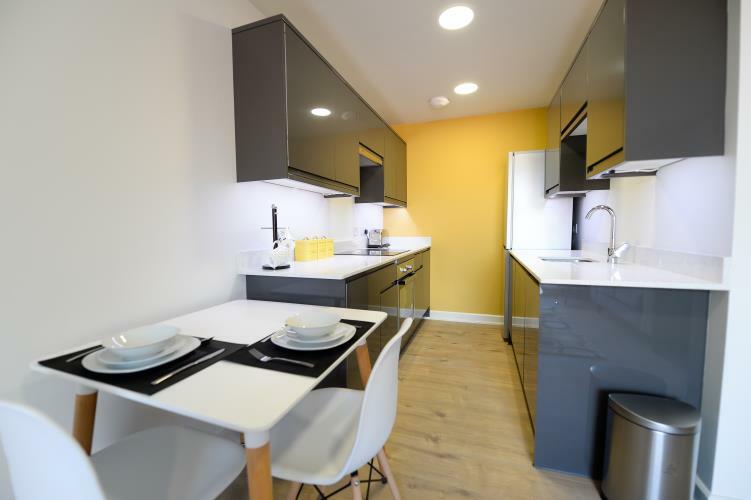 Speedwell Works offers bespoke Studio, 1 and 2 bedroom apartments in prime location within a few minutes’ walk from the train station and Sheffield Hallam Uni. Prices include all utilities and 50mb/s WIFI. Speedwell Works @ Alsop Fields is an outstanding NEW development in Sheffield. Forming part of a unique scheme this courtyard development for mixed use incorporating commercial, leisure and residential use, including Birdhouse Tea Company and Redbrik Estate Agents to name a few. Apartments ideal for students and professionals offering a mix of one and two bedroomed apartments, deluxe studios with separated bedrooms, and traditional studios for single occupancy. All the accommodation is fitted to the same luxurious, high standard. Viewing is essential to appreciate the quality on offer. Deluxe 1 bedroom apartments in this unique accommodation are available from £775.00 per month fully inclusive. This includes electric, water, heating, 50mb/s WIFI, & TV licence. Now letting for 2019-2020, if you would like to arrange a viewing or for more information please call us on 0114 2133371. All our student accommodation is in locations which are popular with students in Sheffield. For information on fees, tenancy, deposits etc, see our Tenant's information page. We have 4 offices around Sheffield, situated in the city centre & around Sheffield - call in for a chat and find the best private student accommodation!